Exquisitely lensed in soft pastel hues by Yoo Young-kil, the renowned cinematographer who also created the sumptuous aesthetics of A Petal and Green Fish, Christmas in August (1998) is as delightful a movie as one could ever wish to see. Whilst nominally the film could be described as a melodrama, Hur Jin-Ho’s elegiac tale transcends any of the pejorative connotations of the word. Melodramas are usually the domain of the big gesture, the awe inspiring act, the larger than life sacrifices. 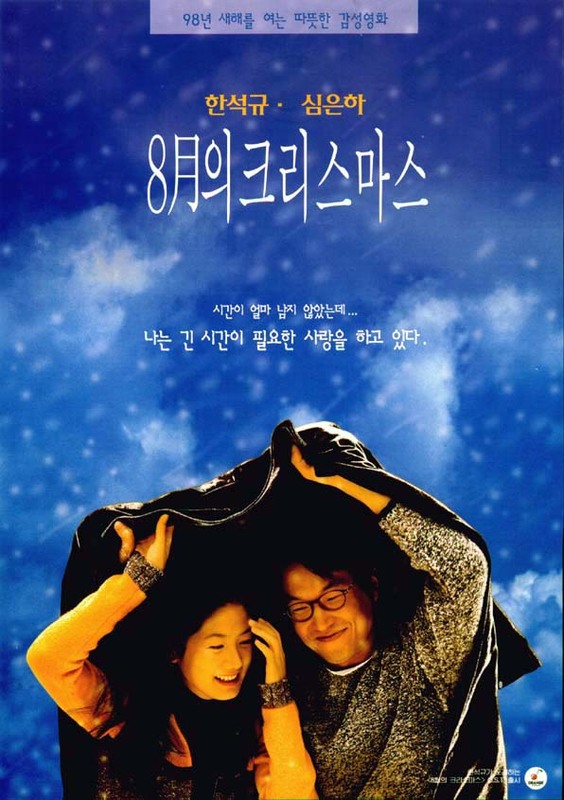 Christmas In August is something altogether different; rather than try and force tears with over the top and contrived moments, Hur Jin-ho’s delicate feature is instead made up of a tapestry of small, intimate, discreet moments that add up into something much greater than the sum of its parts. 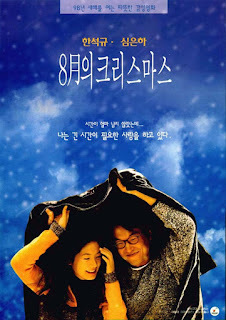 The 1998 South Korean classic stars Han Suk-kyu as humble portrait photographer Jung-won. His life, in many ways, is entirely unexceptional up until, and including, the moment he is diagnosed with terminal illness. Rather than kick and scream or cause a fuss Jung-won endeavours to carry on living his life with simple acceptance, remaining quiet to those around him about his condition. As Jung-won prepares for his final days a young parking attendant, played by Shim Eun-ha, becomes a regular at this shop and the two find themselves becoming more and more attached. The power of Christas In August comes in its restraint – what the characters don’t say, the subtext of their silence, is more powerful than any words could be. The episodic series of events that unfold are given as much weight by his terminal condition as they are by his calm, considered reactions. The moment Jung-won drunkenly spurts out his condition to his drinking partner the news that he is dying is met with a swift rebuttal. His friend believes it to be a joke and Jung-won doesn’t want to press the issue; he is determined to just enjoy the little time he has left with his friend even if he does worry there’ll be few moments like this again. Its only in drunken fear does his calm, placid mask slip. Aside from this one instance Jung-won never troubles anybody. Instead he undertakes a series of tasks aimed at helping those around him in even the smallest of manners. He painstakingly and stoically shows his father step-by-step instructions on how to use a video remote knowing full well he’ll have no chance learning this skill alone. In one extraordinary sequence Jung-won is shown helping an elderly woman come to term with her own death by taking her funeral portrait; he spoils her, makes her feel special and puts her at ease. It is a truly astonishing example of how Christmas in August manages to capture the sublime beauty in ordinary decency, the profound pathos in quiet dignity. It is an ecstatically humbling piece of humanist art. The film is truly emotive but to call it a tear jerker would be misleading; the term suggests a pre-planned, contrived attempt at directing audience’s emotions in a specific manner. Instead Hur provides a luminous, meditative film in which each tender and laconic moment is as beautiful as the next. The quiet moments such as Yoo’s camera catching the fleeting impermanence of the condensation caused by Jung-won’s breath against his shop window are emotionally devastating in their tiny elegance. Fans of Yoo’s work will remember a thematically similar shot in Lee Chang-dong’s Green Fish. A truly life-affirming movie, Christmas In August is a film that deserves to be considered in the same canon as Groundhog Day and It’s A Wonderful Life as works that celebrate the best in human nature, as joyful triumphs. In the famous poem mis-attributed to Emerson success is defined as, amongst other things, being able to make just one person’s life easier because of your existence. In Christmas In August, Hur Jin-ho is able to show how a humble photographer can live a life full of success, away from riches and wealth, solely through his kindness. Jung-won is a success because he helped his father with a video recorder and because he provided comfort to an elderly lady. If there is a more important lesson to be learned in all of art then I have yet to stumble across it.